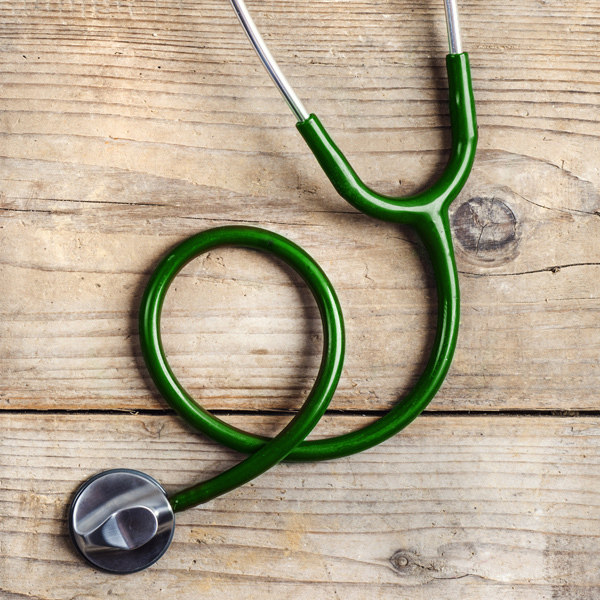 Kiwi Nurseries Ltd. has years of experience in identifying and troubleshooting common diseases and issues that we face in our climate. To help ensure the success of our customer’s projects we want to share that knowledge with you. Under each title below you will find information to help you identify and treat the following common plant problems. If you still have concerns about an issue with your plant, we welcome all of our customers to Contact Us with any further questions. 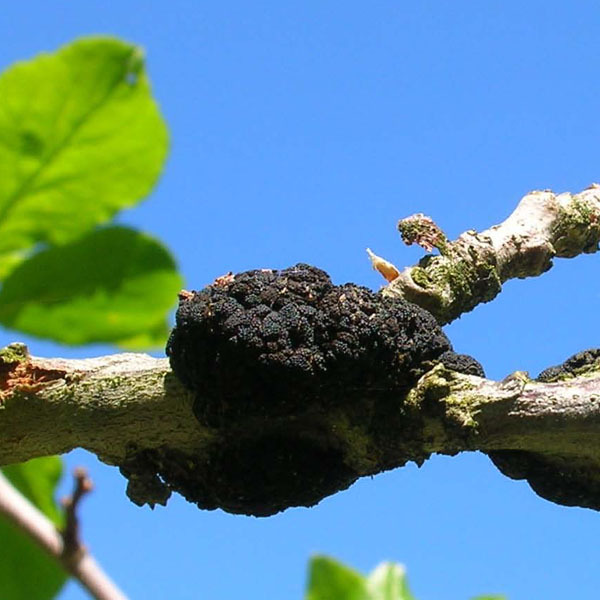 Black Knot is a fungus (apiosporina morbosa) which is characterized by its black, tar-like lumpy growths affecting the Prunus family, such as Cherry, Plum, Apricot, Chokecherry, and Mayday trees. It is an airborne fungus which overwinters in the knots, then releases spores in the early spring of the infection’s second season, typically during rain. The spores are distributed long distances on wind currents and through rain splashing. Black Knot typically affects new green twigs, but can also affect mature branches or trunks, especially if physical damage is present. If left un-checked, these black galls will continue to grow and will eventually girdle the branch or trunk and kill it. The stress caused to the tree can also make it susceptible to other diseases and can affect the overall health of the tree. Black Knot is highly contagious. Stage 1 : The branch will turn light brown and start swelling. These swellings can be difficult to notice. Stage 2 : The swelling will continue to grow. As it matures, it will turn into visible hard, black galls. Stage 3 : As the galls continue to grow internally and externally, it can eventually kill the branch and tree. All infected branches must be pruned out of the tree at least one foot from the infection site. To prevent the spread of further infection, disinfect the pruners with bleach between each cut. When removing the cut-off branches, be careful not to rub them against healthy branches. Immediately place infected branches into a garbage bag. Diseased wood must be eliminated immediately, by burning it or putting the closed bag of infected branches in the garbage. Monitor regularly to make sure it does not come back. If you spot black knot in your neighbour’s tree, then your tree has a greater chance of becoming infected. 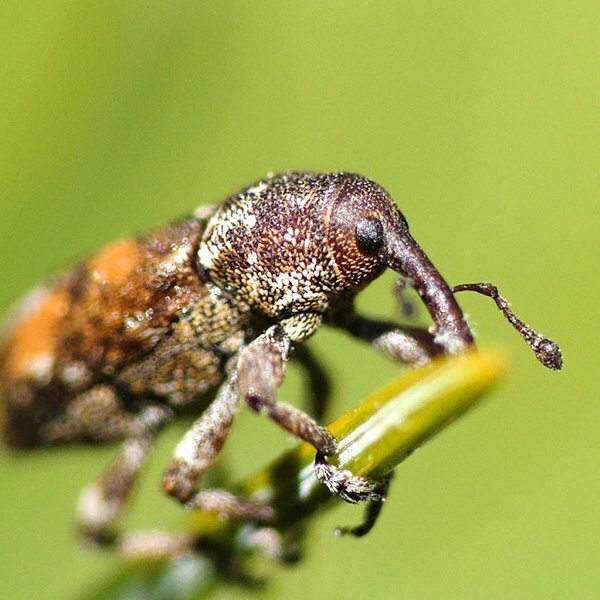 What is a White Pine Weevil? The white pine weevil is a pest that causes extensive damage to many types of evergreen trees. it is also known as the Engelmann spruce weevil and the Sitka spruce weevil. This harmful pest attacks at least 20 different species of trees. it prefers Easter White, Jack, Scots pine and spruce trees. Droplets of resin oozing from tiny feeding holes in the leader stem early in spring. These can be hard to notice. A shepherd’s crook in the leader is a classic sign that an evergreen is infested with the white pine weevil, although other pest attacks may result in similar symptoms. The curling and death of the leader of a tree indicates the presence of larvae in the stem. THe needles on the affected stem will turn yellowish-green, then reddish-brown and will eventually fall off. The damage generally appears in mid-June or early July. Pruning infested trees can be an effective control if its done as soon as possible after the first signs of infestation are noticed. you must prine out infested branches. Prune close to the topmost unaffected whorl of branches. Infested wood must be eliminated immediately, by burning it or putting the closed bag of infested branches in the garbage. Monitor regularly to make sure it does not come back. If your neighbour’s tree is infested, then your tree has a greater chance of becoming infested. What is a Yellow Headed Spruce Sawfly? 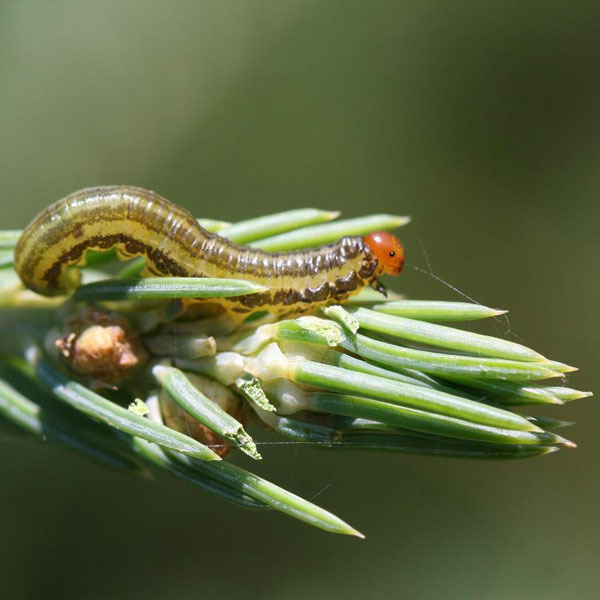 The yellow headed spruce sawfly is a pest that causes extensive damage to many types of evergreens, mainly spruce trees. Their eggs are pearly-white and ovate. The larva causes the damage to the trees. The yellow headed spruce sawfly prefers young open trees. Once the eggs hatch, the larvae eat small parts of the new needles. As they develop they will strip the needles from the branch and go after older needles. There will be multiple sawfly larvae on each tree. By July infested trees appear ragged and yellow- brown near the top. Heavily-infested trees may be completely stripped of foliage. If not treated for a few years, the sawfly can kill the tree. Sawfly is infectious! If the sawflies are only on a few small trees, they can be controlled by picking off and destroying the larvae when they are first noticed. For shelterbelts or large trees, chemical control is needed. The following insecticides can be used; acephate, carbaryl, diazinon, dimethoate, malathion or permethrin. Insecticide application should be made when damage is first noted. Trees can recover from sawfly provided they do not become re-infested. It may take several years to fully recover. As much as we love the beautiful sunny winter weather, some plants such as cedars and evergreens can be susceptible to sunscald if not properly protected. If snow is left untouched, the sunlight reflects off of it like a mirror causing sunscald to the plant. In order to protect them, tromp down the snow around the base of these plants. This makes the surface of the snow uneven allowing sun to reflect in different directions. Fall is the time to wrap the trunk of your trees with a plastic tree wrap to protect them from damage that can be done from animals eating the bark during the winter months. Be sure to remove the protective wrap in the spring. What is Fall Needle Shed? 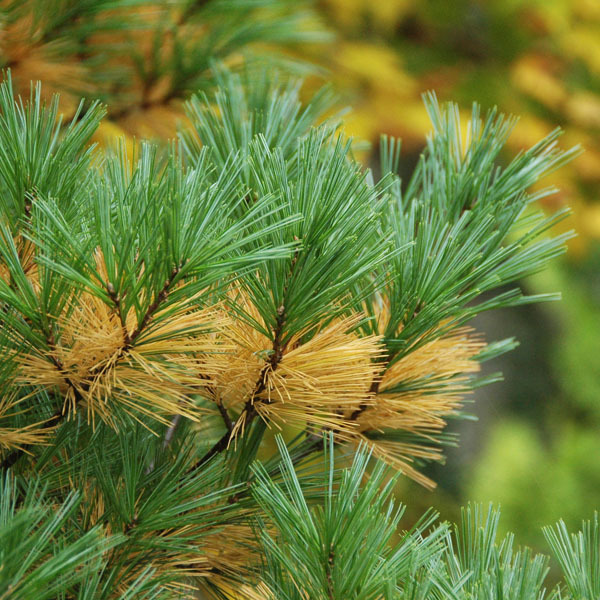 Yellowing of interior needles in the fall is a normal occurrence for evergreen trees. 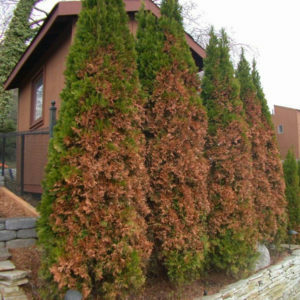 Conifers do not keep their growth of needles on their inside branches and shed them naturally in the fall. The discoloration, which affects the older needles close to the trunk occurs in late August, and can continue until freeze up. The amount of shedding can be greater if the tree has been placed under stress caused by droughts, flooding or newly dug trees. These needles are not replaced and this is why evergreens are bare of needles near the trunk and there is usually a carpet of needles under the tree.